With both private companies and governments having an abominable record for protecting user data, it’s no wonder that people are crying out for watertight privacy protection on their smartphones. So, whether you want to ensure that your device is kept secure, or just want to keep your personal data away from the growing problem of identity theft, you need to have such Android apps in your smartphone that secures all your data from the unwanted breach. DuckDuckGo Privacy Browser was Founded back in 2008. DuckDuckGo has consistently been on the side of the user when it comes to protecting data and Android security. Eschewing the traditional practice of farming and selling on your personal information, the pro-privacy company is a genuine advocate for online security. The DuckDuckGo Privacy browser features a tracker blocker, an option for forced encryption and a fire button next to your tabs which, when pressed, completely toasts your browsing history. So, it is one of the best picks for you to protect your privacy online. Signal Private Messenger is a fully open-source platform. Signal is designed from ground up for privacy. They don’t store metadata (which can identify who used what service where) and anyone can check how the app operates by viewing the source code. So whilst it’s easily one of the best apps for security, it’s actually a well-designed messenger app too. Add more shield to all your text messages. No separate logins, PINs, usernames, or passwords to manage or lose. Proton Mail is an open-source encrypted email developed by world-renowned scientists at the CERN Institute. Proton is a leader in privacy when it comes to email. The key features of this excellent email option include self-deleting messages and the ability to send and receive password protected emails. End to end encryption is standard with Proton Mail, so you can rest assured that no one at the company is monitoring your communications. Anyone who cares about online privacy should be using a VPN. Not only does it protect your privacy by routing your traffic through an encrypted 3rd party location, it is a sure fire way to get around most of the government imposed content filtering on the internet, allowing you to access sites that for whatever reason your country decides are off limits. Try to avoid free VPN’s if you can, with a cost to operate the service you have to wonder what they are doing with the traffic that passes through their servers and whilst there is a slew of paid VPN providers for Android. ExpressVPN has the added benefits that it is super-fast, and comes with a 30-day money back guarantee. An invaluable app for anyone who wants to keep their phone number out of the public domain. With a lot of two-factor identification done by text message, the last thing you want to do is broadcast your actual phone number in any kind of public forum. 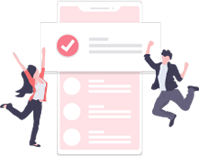 Hushed allows you to create temporary phone numbers that can be deleted after use, this is perfect for sites like Gumtree, or when signing up to websites that would otherwise sell your details to marketing firms. 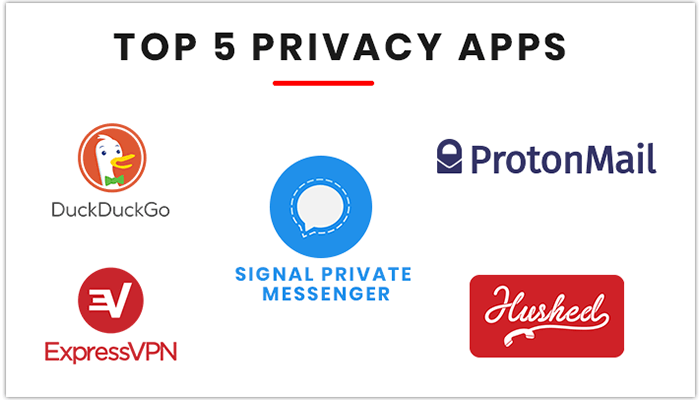 With this list, we complete our top 5 Android apps that promise to secure your personal smartphone data. 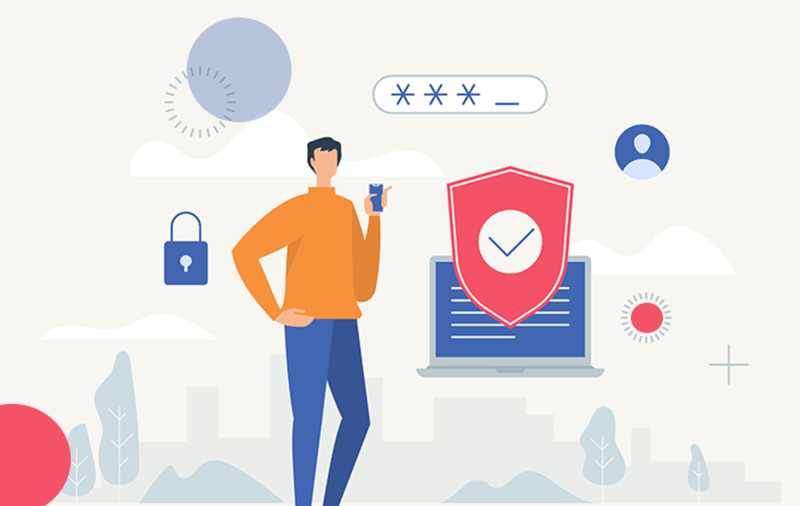 Whilst there is no silver bullet for keeping your personal details private, with the arsenal above installed onto your device, you have some impressive weapons against intrusion that help keep your smartphone secure. Also, maintaining a basic hygiene while operating your smartphone will also help you to stay away from data breaches. Always remember to download the apps from Google Play Store and don’t entertain unwanted queries from suspicious apps. Good luck.